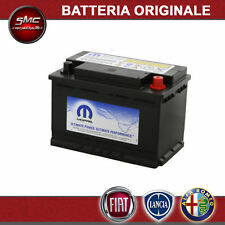 BATTERIA SPEED L260. RICAMBI AUTO SMC. Sede operativa: Contrada Ionta - Area PIP - 84020 Oliveto Citra (SA). Condizioni di vendita. Chi siamo. You are looking at a Genuine SAAB 9-5 Battery Heat Shield. This will fit:SAAB 9-5 (1998-2001). The Part Number for this item is:SEE ITEM SPECIFICS FOR PART NUMBERS. SAAB 9-5 (2006-2010). Your 3 digit Saab body colour code can be found in your glovebox OR on the inside of one your front doors. This part will fit This part was removed from a9-5 (2006). 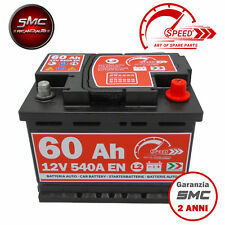 BATTERIA 70Ah BASSA. TI RICORDIAMO CHE PER QUALSIASI PROBLEMA CI PUOI CONTATTARE. BANCA INTESA SAN PAOLO AG PIETRAPERZIA. IT 71 A 03069 83700 100000000636. 2 ERRE DI LELIO E GIUSEPPE RABITA S.N.C. BATTERIA EFB 105Ah. START&STOP. 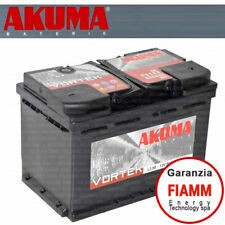 LA BATTERIA CON TECNOLOGIAEFB NON PUO’ SOSTITUIRE LE BATTERIEAGM. TI RICORDIAMO CHE PER QUALSIASI PROBLEMA CI PUOI CONTATTARE. BANCA INTESA SAN PAOLO AG PIETRAPERZIA. IT 71 A 03069 83700 100000000636. You are looking at a Genuine SAAB 9-3 Battery Tray Shelf Cover. This will fit:SAAB 9-3 (2003-2010). SAAB 9-3 (2006-2010). SAAB 9-3 (2008-2010). You are looking at a Genuine SAAB 9-3 Battery Cover Plastic Tray. This will fit:SAAB 9-3 (2003-2007). The Part Number for this item is:SEE ITEM SPECIFICS FOR PART NUMBERS.